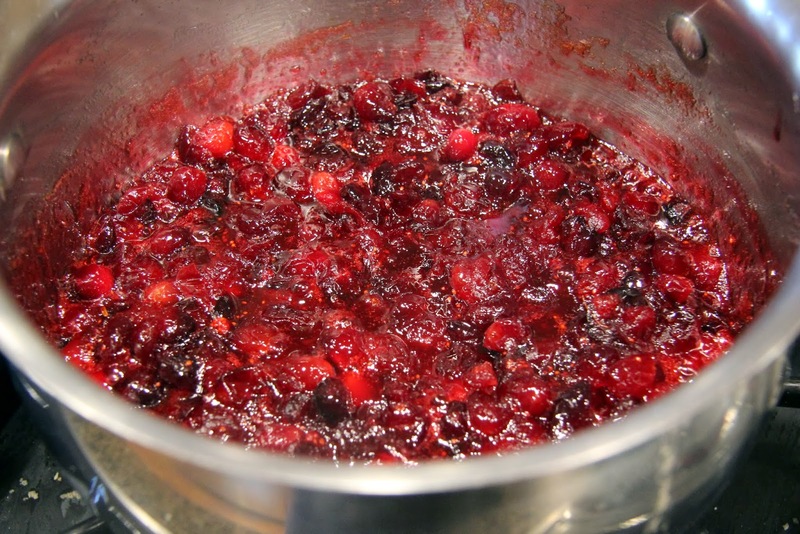 I think many people must not know just how easy it is to make your own cranberry sauce because, if they did, they would eighty-six those cans in a heartbeat. 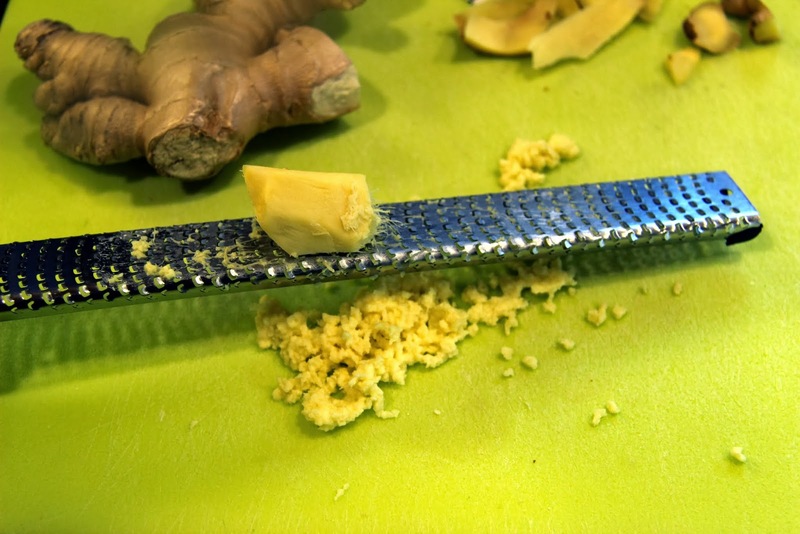 I like to jazz mine up a bit with some fresh ginger because it adds a little heat and complexity. It also aids in digestion so it’s never a bad thing to include with your turkey dinner. A chiffonade of mint and/or some lemon zest on top adds a fresh twist as well if that appeals to you. 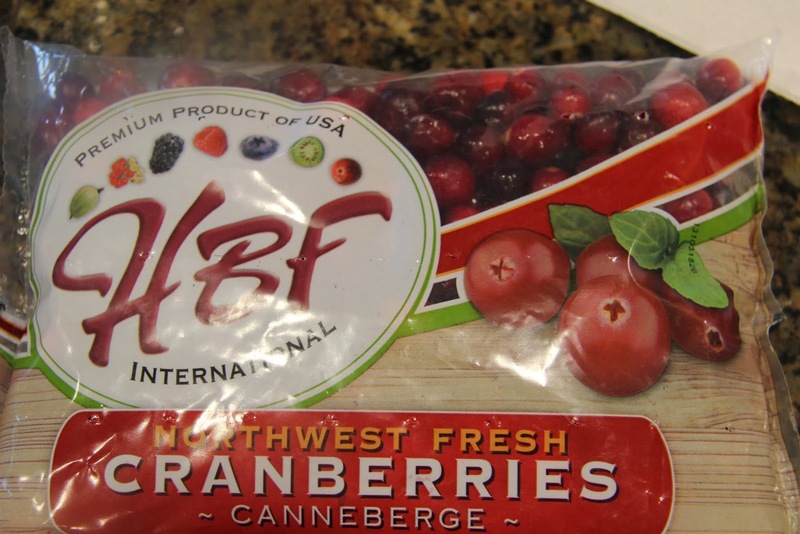 Let’s get to it… This is adapted from the back of the bag of cranberries. I reduced the amount of sugar by 1/2 cup and added the ginger and mint garnish. Pretty simple! 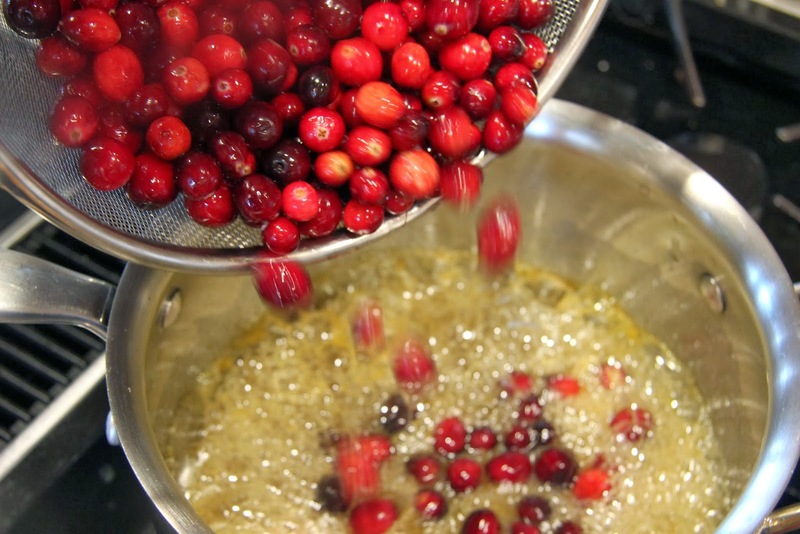 Rinse cranberries under cold water and drain. These babies were grown here in Oregon! 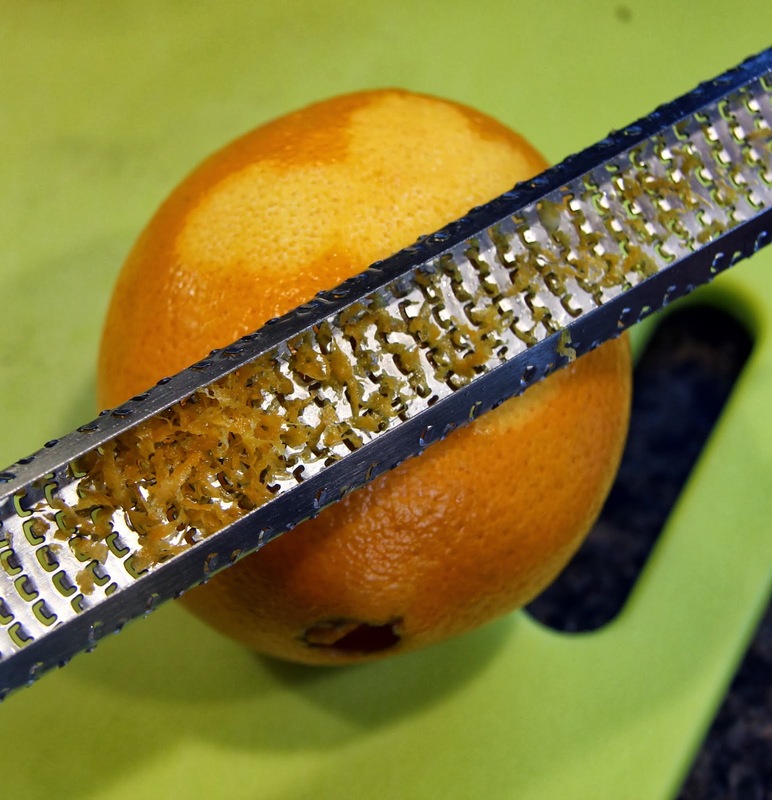 Zest your orange, making sure not to zest the bitter white part of the peel. 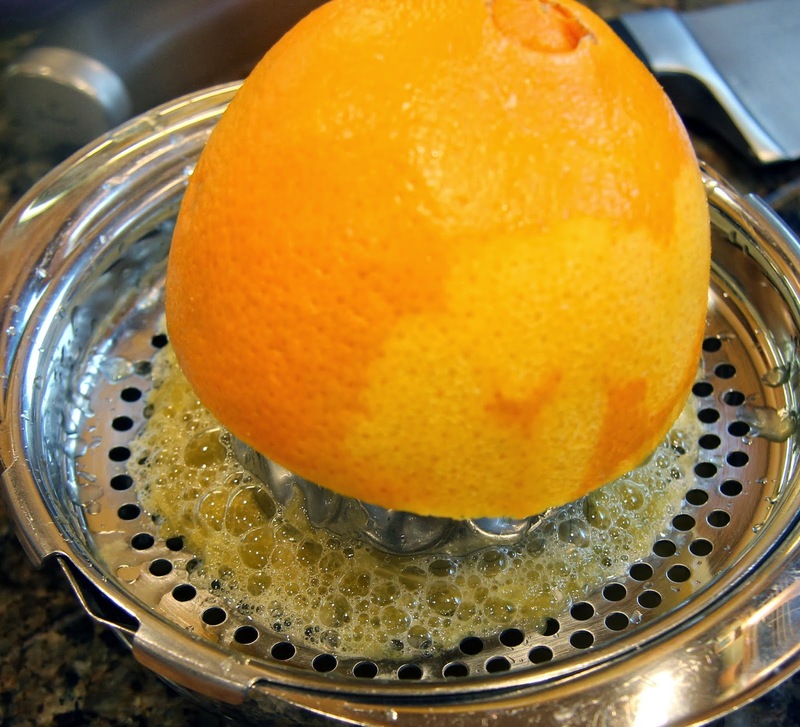 Slice orange in half and extract the juice. If you don’t get quite a half cup, just adjust your water so you have a full cup of liquid. 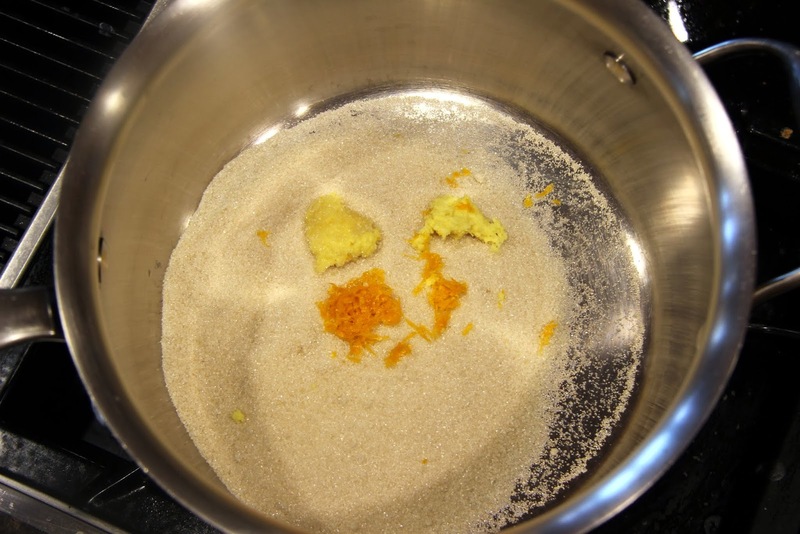 Place sugar, ginger, orange zest, orange juice and water in a medium/large saucepan. 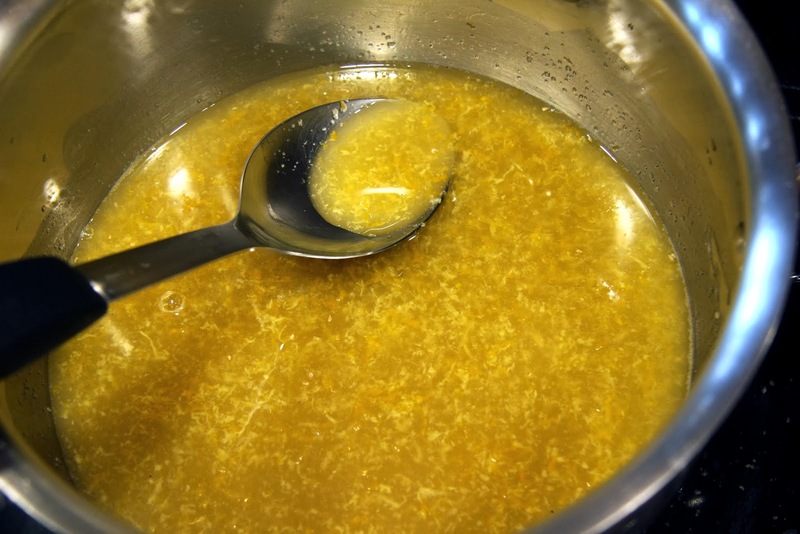 Stir over medium-high heat until the sugar has dissolved and the mixture had come to a boil. Boil for 5 minutes. 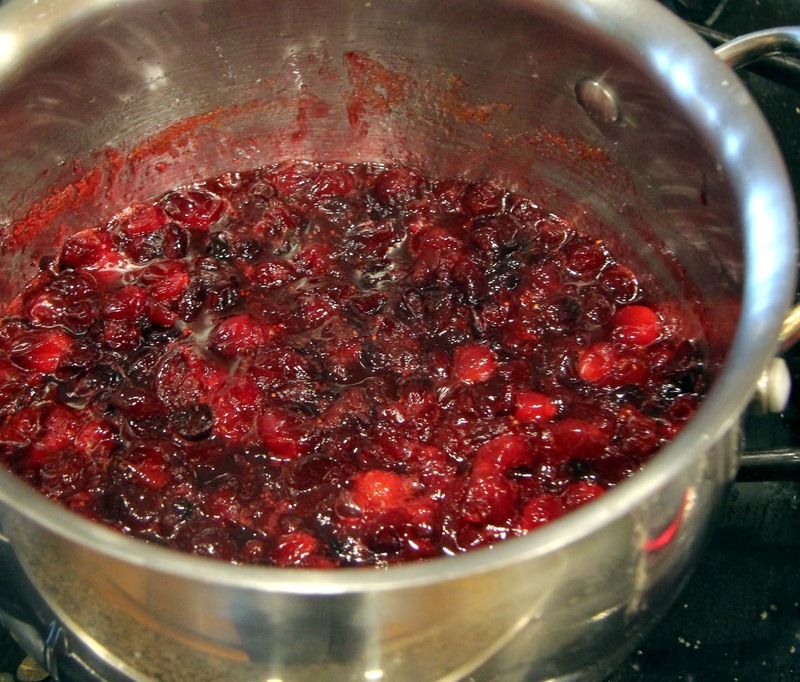 Stir in cranberries, cook on medium heat for 10 minutes. 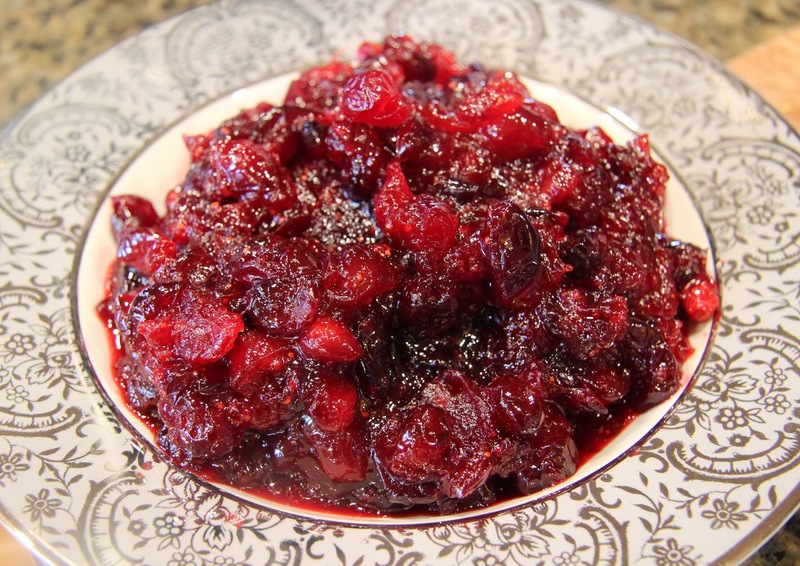 If you have a splatter guard, you should employ it as the cranberries tend to explode a little. If you don’t, just be cautious. Stir occasionally. 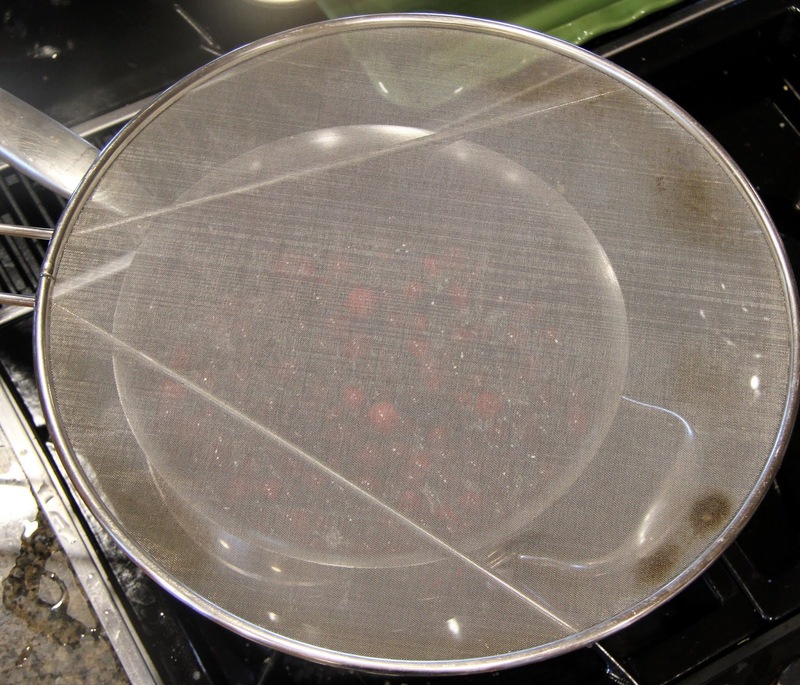 After the10 minutes have passed, turn burner down to low and cook without stirring for an additional 5 minutes. Transfer to a bowl and cool a bit before serving. Chill in the refrigerator if you’re making it ahead of time. Garnish with fresh mint and lemon or orange zest. You’re done! This is lovely… Happy Thanksgiving!